Tonight Show comedy writer and stand-up comedian, Frank King’s battle with depression led him to the edge of suicide. His riveting story drives home the need to remove the stigma of mental illness. Frank’s motto, “I believe that where there is humor there is hope, where there is laughter there is life, nobody dies laughing” demonstrates his positive outlook even though he has waged a lifelong battle with depression. Suicide and depression run in his family and he is committed to speaking out and ending the stigma of mental illness. 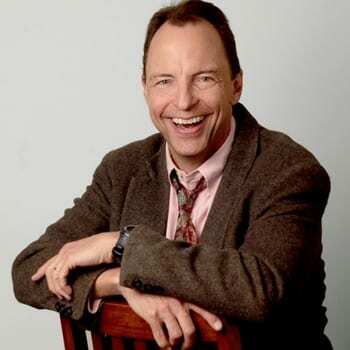 Frank King is a graduate of the University of North Carolina, Chapel, Hill with 30 years of experience making people laugh, learn and leave his presentations loving life. He began his standup comedy career in 1985 catching the comedy club wave, and holds the record for the longest, non-stop comedy club road trip 2629 nights in a row, with no home, just a PO Box and an answering service. He recently began a Laugh Therapy practice, where in addition to offering standup comedy and laugh yoga classes; he uses the healing power of humor to counsel individuals, and show them how to find the chuckles in change, the laughs in the losses, and the punch lines in the pain. On his 30 year journey he has shared the stage with Jerry Seinfeld, Robin Williams, Jon Stewart, Jim Carrey, Bill Maher, Brad Garrett, Ray Romano, Steve Harvey, David Spade, George Lopez, JJ Walker, Adam Sandler, Carrot Top, Joan Rivers, Jeff Foxworthy, Dana Carvey, Ellen DeGeneres, Paula Poundstone, Kathleen Madigan, Frank Caliendo Bill Hicks, Ron White, Kevin James, Dennis Miller, Rosie O’Donnell, Charles Fleischer, Kevin Nealon, Daniel Tosh, Randy Travis, The Beach Boys, Neil Sedaka, Lou Rawls, Mary Wilson, The Fifth Dimension, Crystal Gayle, Lorna Luft, Steppenwolf, and William Webster (Former Director of the CIA). In addition to telling jokes, he’s kept busy selling jokes. He was a writer for Jay Leno, and The Tonight Show, for 20 years. Watch Frank at TEDx: The Evolutionary Advantages of Mental Illness. Frank King delivered the best event luncheon keynote that we’ve ever had. Being able to laugh about the hard issues makes it easier for people to discuss them. It takes away the shame and encourages conversations that can be life-saving. Your content should be taught in medical school because most physicians do not take the time to follow up on subtle “warning signs” given verbally by patients. Your keynote should be required curriculum for all medical students. I’ve been in the business of mental health for over 43 years and a director for 17. Frank’s speech was the best I’ve had at one of my conferences.